At the Farm Progess Show this summer, New Holland rolled out a new concept tractor that appeared mostly conventional but had one stand out feature--it runs on methane rather than diesel. My first impression when seeing this was--didn't we have this same concept 50 years ago? Growing up, our farm included an International 504 LP than ran on natural gas (until it spectacularly caught on fire when I was about 10). Is the New Holland concept any different? The New Holland tractor unveiled at Farm Progress Show is powered by a 180 hp bio-methane engine. New Holland (CNH) claims that it has identical performance to a diesel tractor but produces ultra-low emissions and a "virtually zero CO2 profile." Another benefit is a 50% reduction in drive-by noise levels, making the tractor well suited to livestock operations. Read more about the concept at CNH's website. 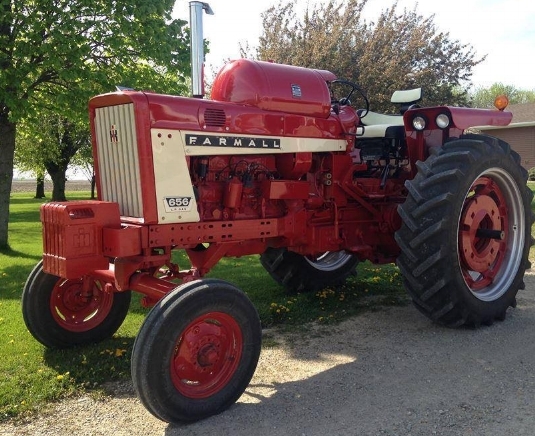 This made me think back to the popularity of LP tractors during my childhood. 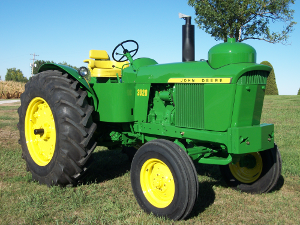 John Deere, Case, IH, Ford, and others all had LP tractors on the market in the decade that proceeded my farming youth. These machines took advantage of low LP prices that made these models more economical in some parts of the US than their diesel or gas equivalents. New Holland's methane tractor is different because it addresses different problems. Sustainability is the holy grail of farming. If farms can be self-sustaining and energy independent, there is no reason they cannot continue for generations to come. Sustainable farms must produce not only food, but energy too. There are relatively few farms in the US that generate methane, but other countries have widely embraced construction and use of anaerobic digesters on farms. Here is a graph from 2011 that shows farms in the European Union with anaerobic digesters. Germany had 6800. The entire US at this time had 167. (Indiana had 7). Farmers I've talked to say the cost/benefit does not work in the US unless you are a really large livestock farm. The New Holland methane tractor concept also addresses climate change concerns. If powered by methane generated by a farm, the resulting CO2 emissions are "virtually zero" according to CNH. Many in the US may think climate change irrelevant, but the issue is arriving on US farms whether farmers embrace it or not. I see climate change in contracts between farmers and purchasers of raw farm products more and more. For example, many milk purchasers are starting to require the farms they purchase milk from to reduce their carbon emissions. How long before certain countries only buy "low-carbon" grain. A methane tractor could help these farms produce products that meet these standards. When my grandfather purchased an International LP tractor he likely didn't even know that its emissions were less than the diesel equivalent. How ironic that the 1950s technology is new once again, but for entirely different reasons.